The Islamic State has increasingly used drones and other robotic IEDs against American, Iraqi, and civilian targets in Iraq. 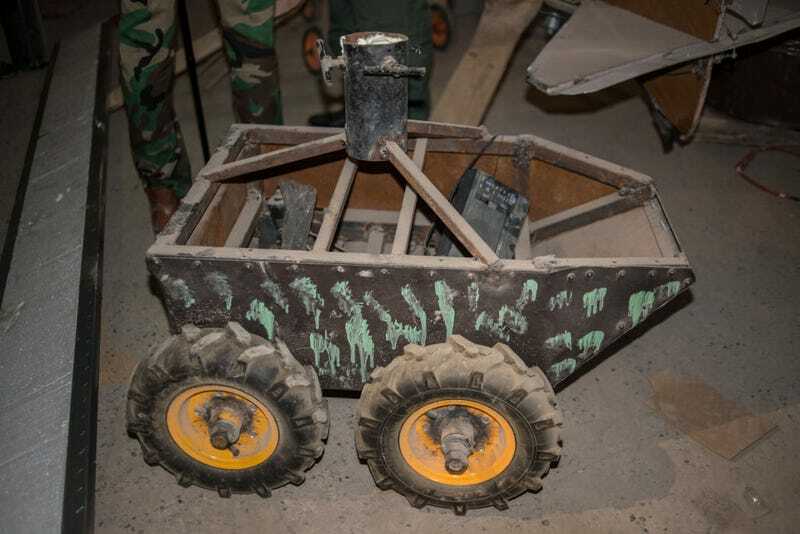 And as the Coalition fights its way through Mosul, troops are discovering workshops filled with crude but deadly robotics used to bomb people sometimes dozens of times per day. Getty Images just published photos of an ISIS factory that’s churning out robotic death machines, including aerial drones and four-wheeled robotic bombs. 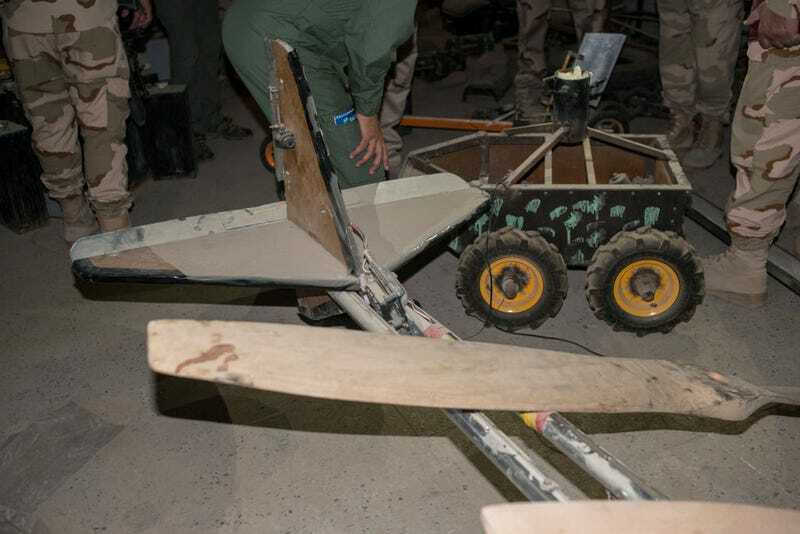 The photos give us a look at the new ways in which ISIS robots are being churned out to spread death and destruction. 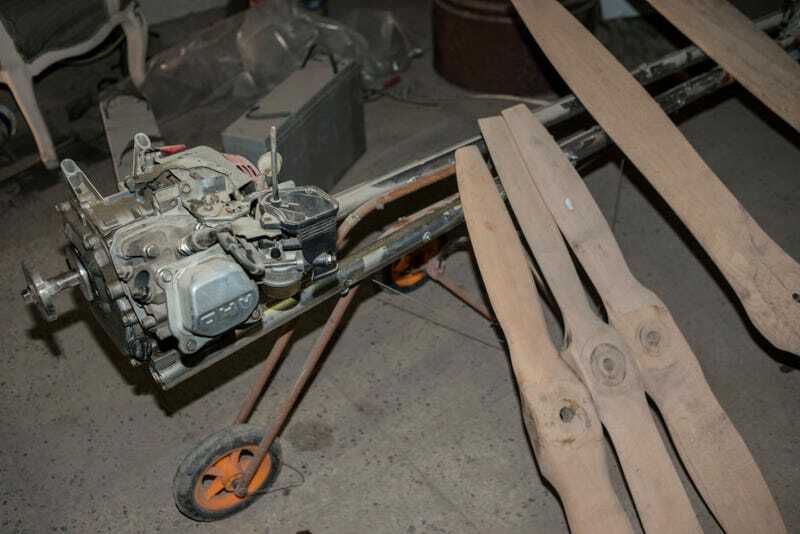 While ISIS has sometimes been retrofitting hobby drones with explosives, they’ve also been building drones from scratch using metal pipes, wooden propellers, and repurposed small engines. But it’s not just aerial unmanned systems being built by the ISIS forces. 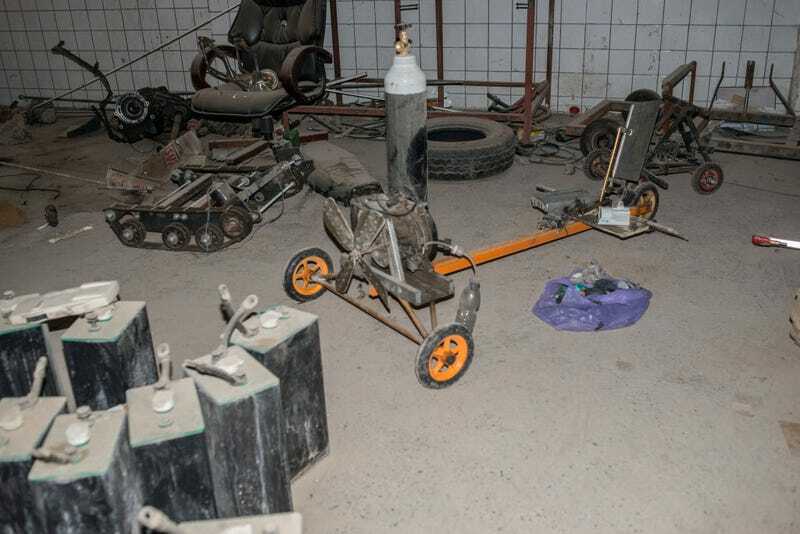 Rolling improvised explosive devices have also been discovered in ISIS workshops recently. The primitive robots, like the one seen in the upper lefthand corner in the photo below, are similar to the first robotic bombs used in World War II by both American and Nazi forces. 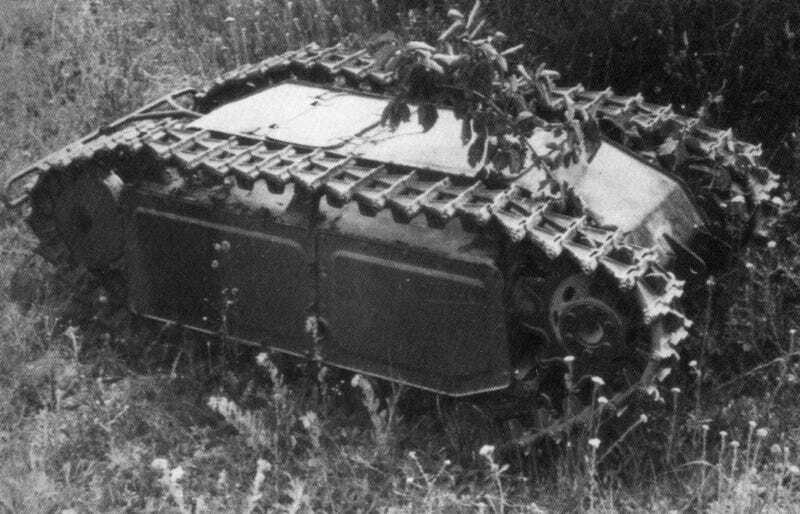 As you can see in the photo below from 1942, robotic warfare really is nothing new. The German Goliath, pictured above, was about 5 feet long and 1.5 feet tall and carried 132 pounds of explosives. It had a cable that was almost a mile long and would advanced on Allied troops. 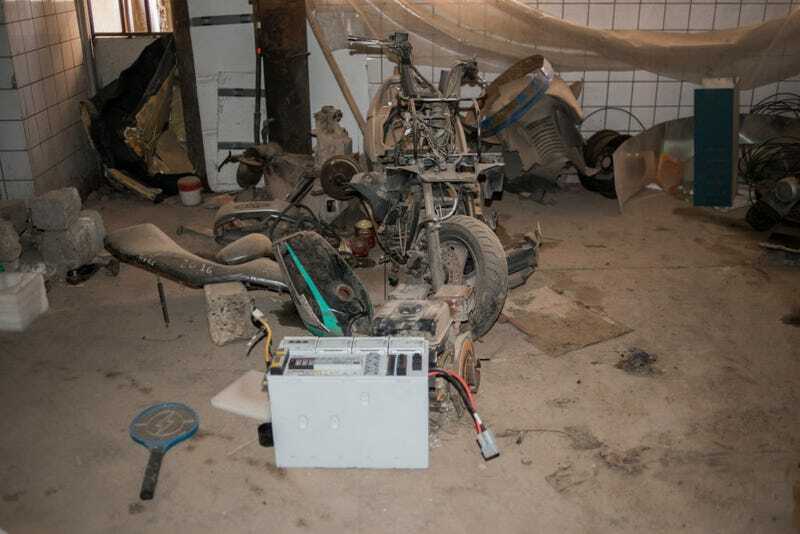 The ISIS engineers appear to be repurposing any engines they can get their hands on, including some from motorcycles found in the latest descent on ISIS strongholds in Mosul. The offensive against ISIS fighters in the battle for Mosul has reportedly killed at least one drone maker who was working for ISIS, though that could not be independently confirmed by Gizmodo. “An IS secret rest house, used for launching drones, at the outskirts of Tal Afar, west of Mosul, was heavily shelled early on Tuesday, leaving the member in charge of the drones, called Abu Hafsa, and some companions, killed,” an anonymous source told AlSumaria News. But American and Iraqi forces continue to push through Mosul and have captured the Great Mosque of al-Nuri, where ISIS was first formed. While it’s a tremendous symbolic victory, there’s still a lot of work to do before the ISIS drone and robot makers are put out of work for good.